University archivist, Ben Reese, has been harboring a grudge of sorts for over 15 years. He served as a scout during World War II, putting himself in dangerous situations, sometimes leading teams of technicians in to obtain important documents and technology behind enemy lines. On one such mission, he encountered a colonel with a shady past and questionable methods. He had buried his suspicions for the sake of his bride and his health after the war, needing to focus on his own life and recovery from his war injuries. When his Scottish friend, Kate Lindsay, asks for his help in uncovering who mailed her the eye of her husband, who had died in the war some 16 years earlier, dark memories of Ben’s own time on the front line resurface. Despite the fact that his job at the university is hanging by a thread, Ben sets out to reach into his past in hopes of finding the truth to what happened those many years ago. While he does what he can to uncover clues in the United States, Kate puts her own investigative skills to use in Scotland, searching out a medic who may know something about the unexpected gift. Only, someone else has other ideas, wanting the secrets of the past to remain buried. This someone will go to any length to protect those secrets, including committing murder. Kate and Ben must watch their step the closer they get to the truth. 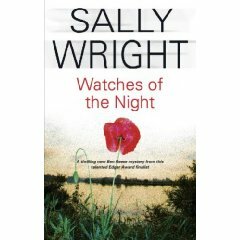 Watches of the Night is the fifth book in Sally Wright’s Ben Reese mystery series. The novel is set in the early 1960’s, not long after the building of the Berlin Wall and Kennedy’s decision to send advisors to Vietnam. The author takes the reader back to 1945 through remembrances, which offer the reader a glimpse into Ben’s harrowing past during the Second World War, a time that was often harsh and brutal. It was also a time of great heroism, where men risked their lives for their comrades in arms, fighting with all they had to survive. The characters are well developed, from the minor characters to the more prominent ones. Kate Lindsay, a suspense/thriller novelist herself is both intelligent and resourceful. She balances Ben Reese’s character well. He is no slouch himself, quick on his feet and in mind. His love for horses and his strong sense of doing what is right make him even more endearing. According to the acknowledgments at the end of the book, the character of Ben Reese is based on a real life person, John Reed, who also was an archivist and had been a scout during World War II. Author Sally Wright has written a compelling mystery novel. Her writing style flows easily as she paints a beautiful picture of the landscapes her characters encounter, including Ohio, Kentucky, Scotland and Italy. She packs a lot of detail into her story; however it never feels overwhelming or too busy. It is obvious the author did her research and aimed for accuracy in even the smallest of details. It was curious that phone conversations were presented as being only one-sided although the novel is written in third person and jumps in points of view from one character to another. Watches of the Night makes for interesting reading. It is suspenseful while at the same time maintaining a steady pace that allows readers to take in all the details and stay on top of the events as they unfold. For series readers who may wonder if this book can be read out of order, the answer is yes. It seems to stand well on its own. Sally Wright has demonstrated that she is a talented writer, and I look forward to reading the earlier books in the series as well as reading future books. Originally published at Front Street Reviews. 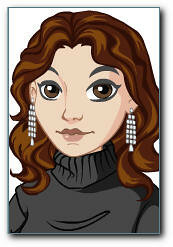 Check out the Sally Wright's website for more information about her books. Great review, Wendy! Glad to know that it can be read standalone. I might check it out. 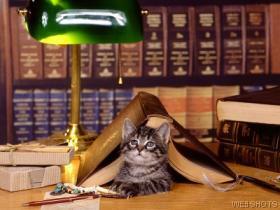 Oh a new crime novelist to watch out for! This sounds like a good series so I will have to put it on my radar. Thanks for the review Wendy! Definitely sounds interesting! I haven't heard of this series before. I'm glad this book can be read standalone, otherwise I'd have to start on a new series, which is not a bad thing but it's definitely not good to my wallet and my mountain high pile, LOL. This sounds intriguing! I like to read books that are based on real people. I have not heard of Sally Wright, so I will have to start keeping my eyes peeled for her books at the used bookstore! Thank you everyone! I hadn't heard of this author or the series before either. I am curious to see how the other books are. I understand the author has another book out (or coming out soon) which is a prequel to the series. I don't know too much about it yet though. Wonder if she realized the title rhymed with her name? Sounds like an interesting story though! I hadn't even noticed, Jen! Great eye (or ear).